Over the first weekend of May, I had the pleasure of photographing this lovely couple to celebrate their engagement. I’ve known Mike since 5th grade, and Kira since 8th grade, so it was almost surreal to be photographing them as they prepare to join their lives together in marriage. I just love high school sweethearts stories! Mike proposed to Kira on the Brooklyn Bridge on December 6th, 2013 - in the rain at night (the perfect time to be on the Brooklyn Bridge because no one else was there). 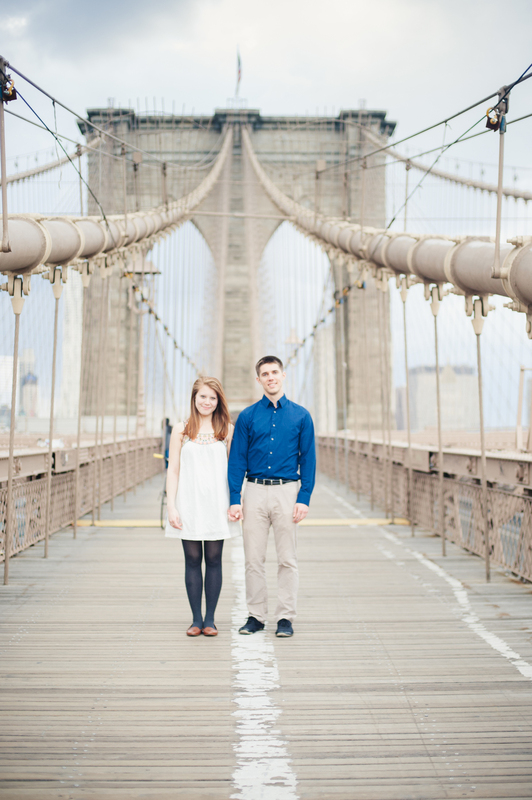 So what better place than the Brooklyn Bridge to take their engagement photos?! We wandered around for a few hours snapping away, and I wish I could have had even longer than that. Such a lovely couple.